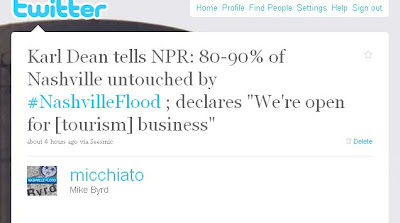 Enclave: 2010 Nashville flood: Any thoughts on Mayor Karl Dean's NPR broadcast assessment? 2010 Nashville flood: Any thoughts on Mayor Karl Dean's NPR broadcast assessment? Jump to the full interview.